Donald Trump’s presidency represents nothing less than an all-out war on our climate, environment, and communities. Tell Senator Schumer that we won’t stand for this! Trump’s administration of Big Business cronies would protect corporate interests while endangering our water, air, and food, threatening our civil rights and safety, and risking climate chaos. As the nation’s top Democrat, Senator Chuck Schumer must stand strong against Trump’s catastrophic Cabinet appointments and his climate-destroying plans. 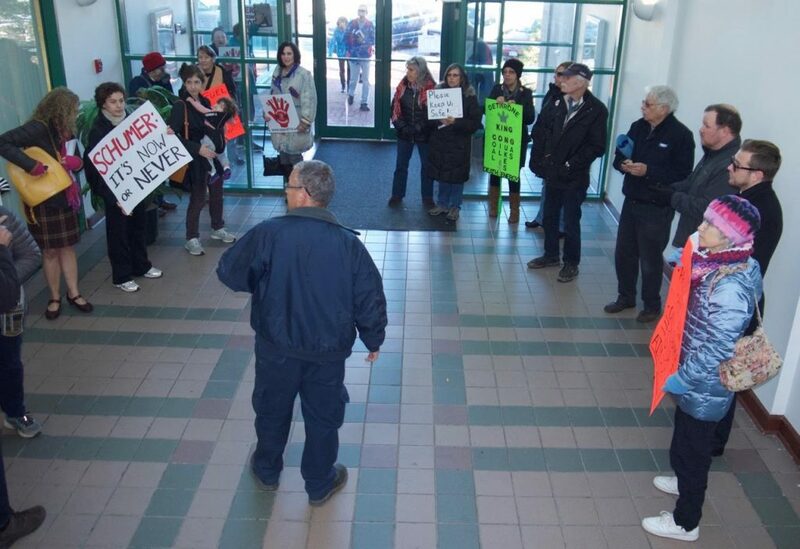 Amazing news: Indian Point Power Plant to shut down by 2021! We salute the founder of WESPAC, Connie Hogarth, for being instrumental in this movement and to all the members of IPSEC the Indian Point Safe Energy Coalition (Marilyn Elie, Jeanne and Gary Shaw, and many others) who have worked for decades to shut down this aging, radioactive leaking nuclear power plant. Hundreds of New York school districts are increasing children’s consumption of fresh fruits and vegetables and helping students learn about food production through farm-to-school programs, but the growth of these programs may be limited by various challenges, according to a report issued today by State Comptroller Thomas P. DiNapoli. DiNapoli released his report when he toured the Gov. 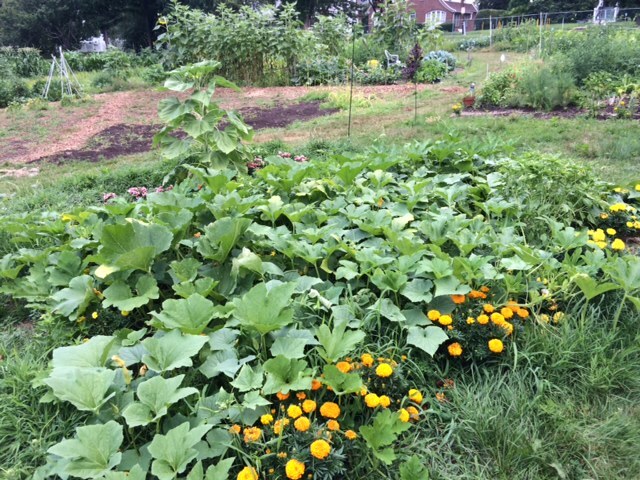 George Clinton Elementary School garden in Poughkeepsie. DiNapoli’s report, “Locally Grown: Farm-to-School Programs in New York State,” details hurdles school districts face when creating and sustaining such programs. For example, schools face constraints involving staffing and facilities and challenges in purchasing the food. The report also outlines federal and state initiatives that are intended to encourage farm-to-school programs. New York state’s Farm-to-School Program, created in 2001, is run by the Department of Agriculture and Markets and the State Education Department. In 2015, Ag and Markets awarded close to $325,000 in grants to help build capacity for farm-to-school programs in six areas of the state. The 2016-17 enacted state budget included $550,000 in funding for such initiatives. Federal and state funds are key sources of support for school lunch and breakfast programs. This year’s state budget includes $1.1 billion in federal funding and $34.4 million in state funds for these programs. According to a U.S. Department of Agriculture national census of farm-to-school programs, 298 districts in New York, or 43 percent of state school districts, reported participating in farm-to-school activities. At least 292 districts maintained school gardens. In total, the 298 school districts with 1,336 schools and nearly 759,000 students reported spending $45,324,500 on local food in New York, with the average school district spending 11 percent of its food budget on local products. Over the years, the food industry has moved to a system that relies on transporting products long distances and may not track where foods come from. The programs described in the Comptroller’s report found ways to access foods from local producers including new procurement tools added in state and federal laws to assist schools in this effort. Poughkeepsie City School District provides locally grown fresh fruits and vegetables for families of children in their summer feeding program. Broome-Tioga BOCES has arranged for regional food bank trucks to pick up local apples that BOCES provides to its constituent schools; the food bank’s “fee” for this service is apples for its customers. Rondout Valley Central School District volunteers glean local farm fields for broccoli and other produce, and then process and freeze the resulting harvest in school kitchens for students’ lunches. Buffalo City School District emphasizes student engagement in its farm-to-school program, working with a local youth development organization to set program goals and implement its Farm-to-School grant. Buffalo also partners with a nearby college for program evaluation. DiNapoli’s report describes the challenges farmers can face in entering a farm-to-school market and competing in school food procurement. Farmers may not be aware of the publications in which schools post their request for bids, or may not be familiar with other aspects of the procurement process such as billing complexities. The expense of complying with food safety processes can also be a barrier, particularly for small vendors. Supporting joint purchasing agreements among districts through the state Farm-to-School grant program and examining the role of farm-to-school as regional food hubs grow across the state. For access to state and local government spending and more than 50,000 state contracts, visit www.openbooknewyork.com. The easy-to-use website was created by DiNapoli to promote openness in government and provide taxpayers with better access to the financial workings of government. off their land by imposing restrictions on agriculture. Jonathan Cook won the 2011 Martha Gellhorn Special Prize for Journalism. 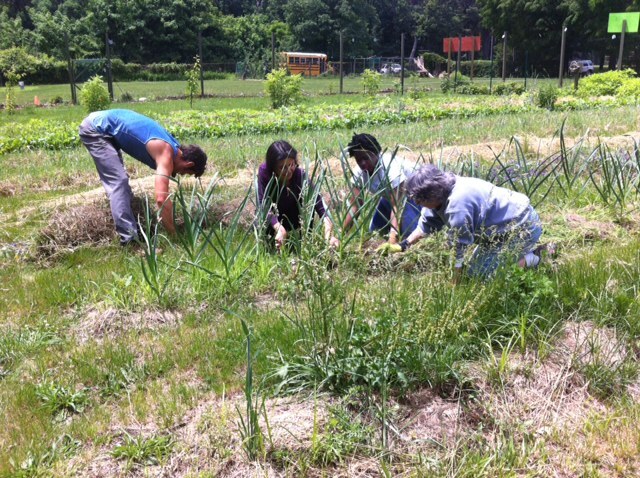 A big thanks to Sadie’s initiative at the Bethel Baptist Community Gardens in White Plains. The WESPAC plot has produced dozens of pounds of fresh produce for the Open Arms Men’s Shelter in downtown White Plains. Thank you, Sadie, and to all who have volunteered! 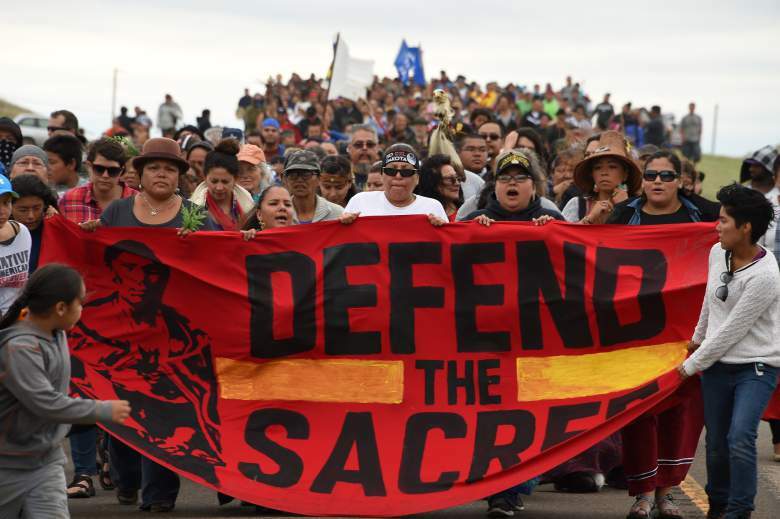 This was the call to action for the historic People’s Climate March in September, 2014. Over 400,000 people marched in NYC. Imagine a moment of silence held by over 400,000 people– a shared moment of solidarity, hope, and the knowledge that the time is now; we CAN change everything—keep fossil fuels in the ground, create a renewable energy future, ensure our most vulnerable are empowered, and transition to a green jobs economy. To Reserve your Bus Ticket from the North White Plains Train Station, go to http://www.cleanenergymarch.org/transportation/. Be a part of the historic March for a Clean Energy Revolution on the eve of the Democratic National Convention in Philadelphia. During the Convention, the Democratic party will solidify its political platform. We’ll make sure they can’t miss the masses who are calling for a Clean Energy Revolution. Many of the Democratic leaders and delegates understand the necessity, but we need to create the political will that comes only from tens of thousands of engaged citizens demanding what is needed, what is right and just. Who do you identify with? Join a contingent! Join Us on the Bus from North White Plains to Philly! Whether you choose to join the Faith Contingent, another group, or just stay with your local community of travelers, please join us on the bus. All peace-loving change-makers welcome! Join local farmer Doug DeCandia, DIG Farm, WESPAC, the First Seventh-day Adventist Church of White Plains and local Starbucks employees as we gather in Greenburgh to honor Mother Earth on April 17th and prepare a communal garden and composting bins. Please bring gardening gloves, trash bags, rakes, trowels, spades and shovels. Lunch will be provided by Giovanni Chef D’Amour Green. Blood pressure screening and a health check up will be provided by medical professionals of the congregation. This community gathering is free and open to the public. For more information, please contact Pastor Kyran Leo John at 347.989.7700.